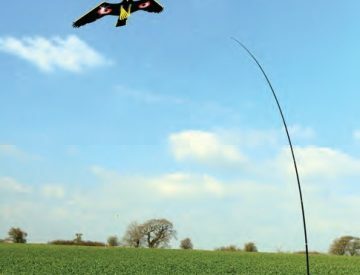 If you’ve tried Bird Kites and somehow those pests persisted assaulting your home, yard or fields, it might be wise to try kicking it up a notch – visual bird deterrents such as the Scarey Man, the Fox figure, or the Wolf figure aim to mimic a very real, lifelike threat to smaller and medium-sized birds, so having them in your yard will almost certainly ensure that the birds that have been bothering you never return. Woodpecker pecking on your house and roofs could be a real problem. 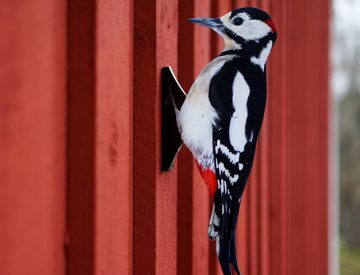 As woodpeckers can’t stand another specimen nearby, placing a life-like woodpecker figure on the walls, roofs, windboxes and other objects woodpecker loves to peck on, repels the real woodpecker. 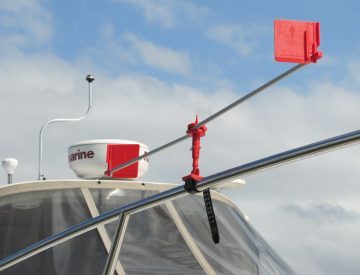 Seagulls and other marine birds can greatly damage boats, yachts, ships, antennas, reelings and other object by or on the water. Bird droppings are very hard to clean and of corrosive nature. 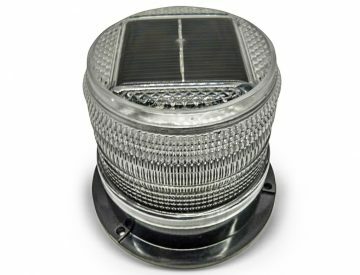 Being circulated by wind, this seagull deterrent protects your boat, yacht or antennas with even light wind. 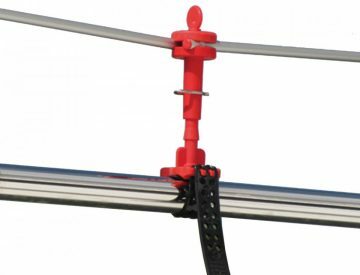 Tube fitting is designed for installing seagull deterrent to boat, antenna, reeling, pome or any other horizontal tube. 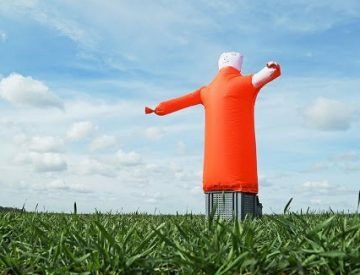 The most effective pest repellent that is inflated every 18 minutes. Option to choose between a daytime, darkness, or a 24-hour mode. 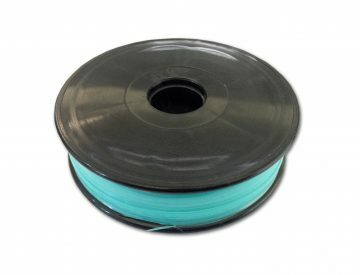 Pest scarer that keeps away rodents and birds including geese, ducks, pigeons, blackbirds. 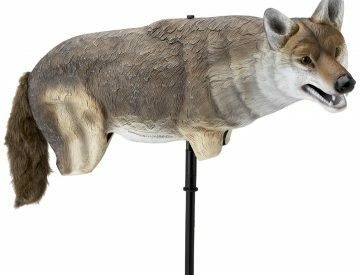 Life-size wolf figure is a pest scarer that keeps away rodents and birds including geese, ducks, pigeons. 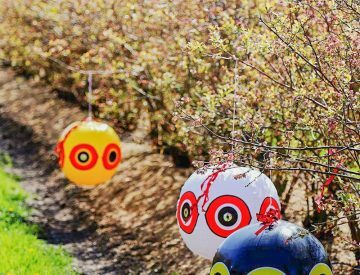 Bird Scare Ball is a large ball resembling an owl, that is being attached, for example, to a tree branch. Scares birds who’s preditor is an owl. 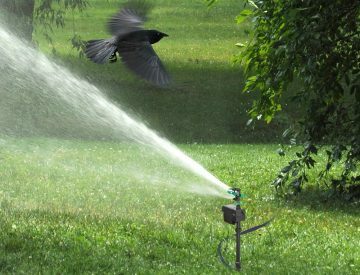 It is a simple and effective pest repellent that frightens both animals and birds. Solar battery powered device scares predators in the darkness. 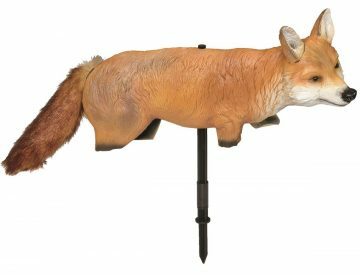 Works on animals such as wolves, wild boars, hares, as well as geese and ducks. 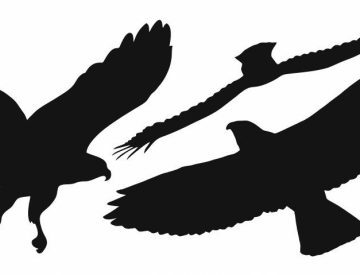 Bird sticker for windows. For birds glass windows are worse than invisible. Protects birds and the glass. 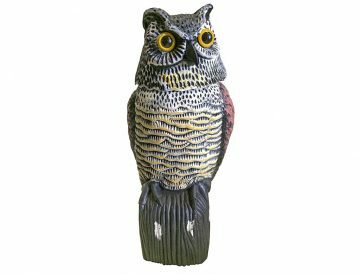 Life-like Scary owl figure with turning head and light reflecting eyes is perfect for gardens in order to repel smaller birds like blackbird, starlings, sparrows, pigeons etc. 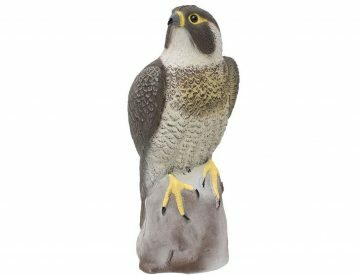 Life-sized falcon figure for scare birds in gardens.